Do you have SSD envy? Is your SSD not as big as that other guy? Fear no more. 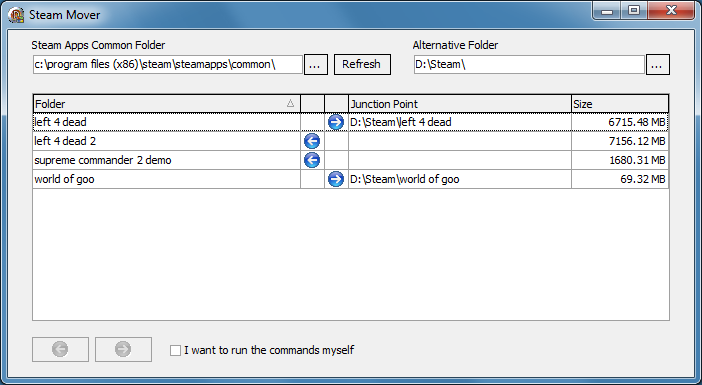 You can move those large games and programs at will using Steam Mover. A useful utility developed by Traynier that works on many items other than just Steam games, for example I moved Battlefield Hardline (Origin title) to my new SSD and it worked great. I moved DayZ (Steam title) and that worked great as well! Worry not about the space you have on your SSD any more! The answer is here... if you can't afford a bigger drive.